Get in the workout zone. One sip at a time. "I never would have thought that the combo of BCAAs, L-citrulline, and beta-alanine could pack such a punch." "The Energy Aminos basically launch you from the couch directly into the gym." In just 3 steps for more performance. add 1 measuring spoon of Energy Aminos powder (approx. 20 g) to 400 ml of water. 3. Drink. After approx. 20 mins, the Energy Aminos will kick into power. So your workout can start now. Facilmente solubile ed energizzante, la nota pepata si sente, forse troppo. 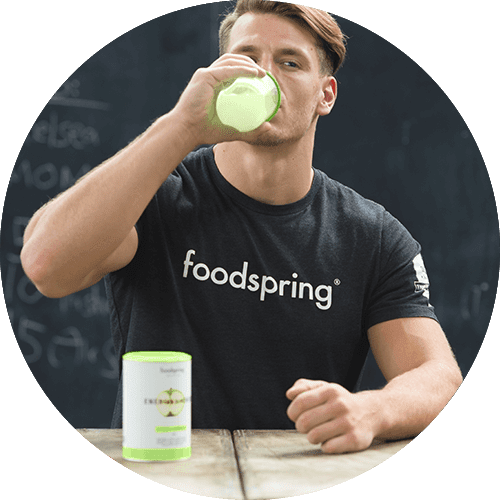 Yes, I feel the boost of energy and I tried to compare my performance with and without this supplement. I felt difference for sure. Great product, the taste is fine (nothing special) however, it has improved my focus and enables me to perform more activities in the gym. This could be a 5-star product if this price were more 'competitive' at approx £22.99. This is definitely far too expensive at £30! 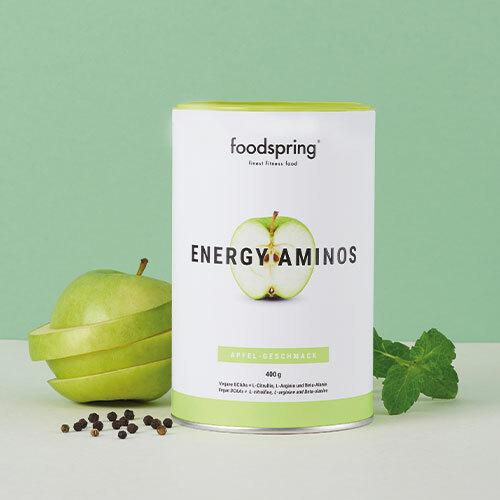 Energy Aminos will be back in stock shortly.